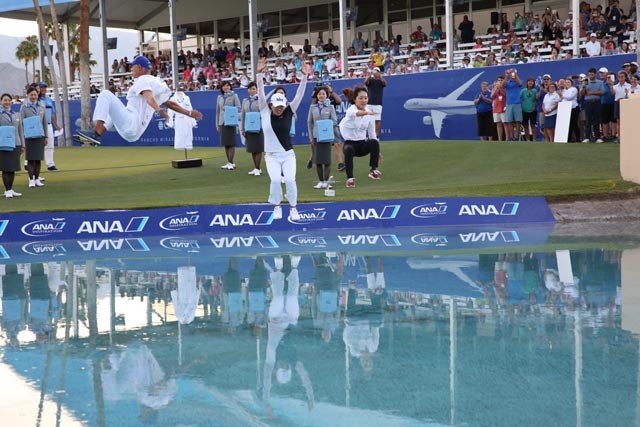 The ANA LPGA Championship had an exciting finish again this year. The leader board was constantly changing with one person in the lead most of the time. Jin Young Ko was the most consistent leader and won the tournament on Sunday. She led with a -9 and finished with a birdie on the final hole 18 to win with a -10. It was her first win in a Major LPGA tournament and her second win in 3 weeks. Maybe a new golfer to watch for future wins this season. caddie told her that she was two strokes ahead and just to have fun to alleviate the nerves. 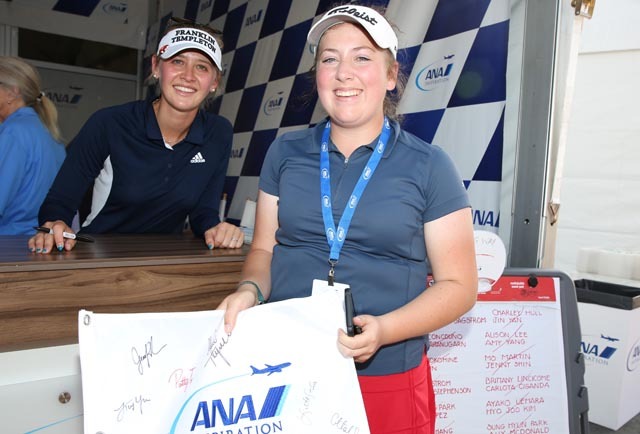 Her caddie, David Brooker, has a lot of experience with golfers as he has helped two other winners, Grace Park, and Lorena Ochoa, at the ANA tournament. He made the jump into Poppies Pond now for the third time. Mi Hyang Lee placed second with a -7 which is her best finish in a Major tournament. She said she didn’t watch the leader board and didn’t know she placed second until it was over. The course was in spectacular shape, but the fairways were narrow, and the rough was long which made it more of a challenge to all golfers. Former winner Lexy Thompson held a -6 under par to land her in 3rd place. She said she was playing great Sunday and the course was tough. There was a bit of a wind but nothing like years past. The heat was probably the most significant obstacle as it reached 91 on Sunday for the final round. Lexy, a former winner here, said her caddie helped her to play aggressively on the final round to get her into contention for a win. Lexy said she loves this tournament because of its history, the tradition of jumping into Poppies Pond, and the Fans. Lexy is considered a fan favorite at this tournament and signed autographs at the end for all her fans. Carlotta Ciganda and In-Kyung Kim tied for 4th. It seems after listening to the interviews that caddies are extremely important to the players. They calm the women, help them with putting, encourage them when needed and help them play more aggressively to climb the leader board. An experienced caddie can make the difference between a loss and a win.